One of the most challenging and rewarding parts of being a solopreneur is the need to be constantly learning. Of course, every day has its own lessons to teach—trial and error is the heartbeat of solopreneurship, after all. Sometimes, though, we need to turn to proven mentors and leaders who can offer wisdom from experiences that reach beyond our own. When we run into these situations, books seem like the obvious first choice. Indeed, there’s a book out there for any problem you may encounter, whether procrastination, apathy, branding, or crippling self-doubt. Besides, shouldn’t we be reading like fiends anyway? It’s common knowledge that the most successful business leaders all share a ravenous appetite for good books. But what solopreneur has time to read a book every week? Between brainstorming and producing and networking and marketing, it can be hard enough to make time to eat breakfast. Granted, reading is still a great habit to develop, but it may not be your primary mode of on-the-go education. Thankfully, the world invented podcasts. If you are already well-versed in the ways of podcasts, you can skip on to the list below; if not, you’ve been missing out on one of society’s greatest gifts to busy solopreneurs. Have a long commute today? Podcast. Need to hit the gym or go for a jog? Podcast. Catching up on some household chores that you’ve left to pile up all week? Podcast. 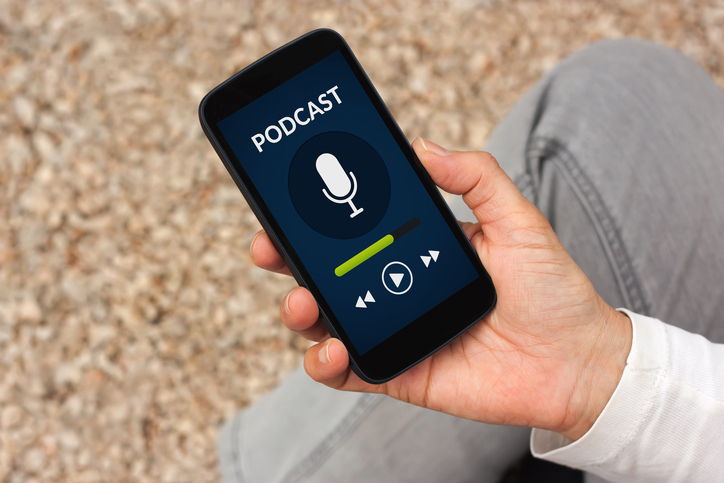 While books may be able to explore a topic in greater depth, regularly updated podcasts can keep you current on new strategies for an ever-changing market, which is essential for a solopreneur on the cutting edge. Below is our list of the top ten podcasts for solopreneurs. These are podcasts that have given many folks the information and inspiration to take their solopreneurship to the next level. So, what are you waiting for? Google these great podcasts, and start listening! We would be remiss if this were not the first on our list. Hosted by Michael O’Neal, The Solopreneur Hour releases multiple episodes each week, all filled with actionable strategies for success as a solopreneur. O’Neal invites business leaders from a wide variety of industries to share their inspiring stories and tidbits of wisdom on the show, making this a podcast you don’t want to miss. Host Stephen Warley is convinced self-employment is the new job security. In Life Skills That Matter, he talks to other successful solopreneurs and thought leaders about what success means for a solopreneur and how to achieve it. In addition to these frequent interviews, Warley posts brief weekly lessons with tips and tools for the solopreneurial life. David Kadavy is a best-selling author and creative entrepreneur who shares tools and inspiration for creators and solopreneurs. He interviews business leaders and behavioral scientists on matters of motivation, creativity, productivity, and everything in between. These weekly episodes range anywhere from 5 to 60 minutes, so you can find episodes in the archives to fit any commute. An official NPR podcast hosted by Guy Raz, How I Built This interviews some of the world’s greatest innovators and entrepreneurs about their journeys to success. Though it may not be jam-packed with actionable steps for success on the small scale, Raz’s questions lead to intimate conversations about the difficulties of striking out on one’s own and the triumph of overcoming obstacles. Plus, at the end of each episode, Raz highlights a listeners’ solopreneurial endeavors. In sum, this weekly podcast is an inspiring look at success and the struggle that leads there, which is something every solopreneur can use from time to time. As the title may suggest, this podcast is unapologetically casual in tone, but that doesn’t diminish its value in the slightest. Jake Jorgovan interviews creative freelancers and consultants on how to attract clients and deal with the inevitable solopreneurial hiccups. New episodes are typically released a couple times a month, making this a good show to save up and binge when you’ve got a particularly long list of chores to get done. Co-hosts Emily Thompson and Kathleen Shannon focus on business from a female perspective. Weekly interviews with successful businesswomen mingle with special “minisodes” to offer tips, support, and inspiration to other enterprising women—and men, too! Jill and Josh Stanton quit their jobs and started a skin care website together in 2012. Now they run Screw the Nine-to-Five, a successful entrepreneurial lifestyle brand complete with online courses, live events, personalized coaching, a blog, and this podcast. Featuring candid interviews, business advice, good-natured humor, and the occasional curse word, these weekly episodes will help you turn your gruelling nine-to-five into the solo career of your dreams. If you don’t mind the language, this is definitely a podcast you should be listening to. Another podcast for folks who are not quite out of the woods on their day job, The Side Hustle Show reveals exactly what it took for successful solopreneurs to turn their own side hustles into careers. Host Nick Loper and his guests explore practical tools for making the jump, with weekly episodes covering topics from taxes to imposter syndrome. Pat Flynn supports his family with a six-figure salary he earns by working just a few hours every week. In Smart Passive Income, Flynn shares his strategies for optimizing the internet to do your work for you so you have time and means to do what you love. Regardless of the specific goals for your solopreneurial endeavor, you will undoubtedly learn many useful tips from Flynn and his guests in these weekly episodes. Donna Amos, Certified Social & Community Manager, is the Founder of Solopreneur Solutions a successful digital marketing agency with a team of six. This entry was posted in Business Planning, Entrepreneurship, Management Issues, New Media, News, Podcast, Resources, Teaching, Templates & Tools on May 4, 2018 by rkenneth.